We're one of the largest clubs in the area with over 150 members and cater for the aspiring, serious or sporting cyclist. 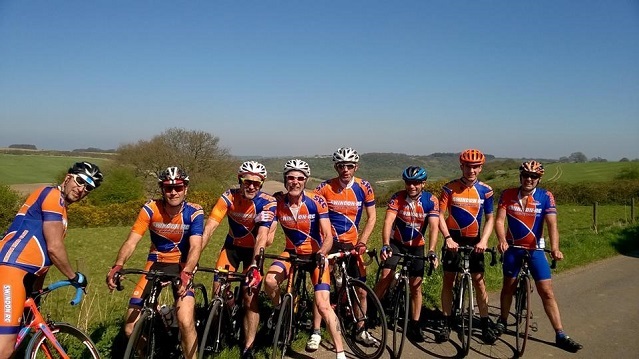 A programme of club rides is at the heart of what we do, we especially cater for those who already have a good cycling base and are wanting to start cycling in a club to develop or just ride with likeminded cyclists. Whether these rides are a new experience, social, fitness building or training depends on who you are, your aspirations and outlook. The Club has a highly successful trial series (joint with Corinium CC) and many club members and local clubs take part. Some of our Club members also race and you’ll find Club members with a range of non-road interests from cyclo-cross, mountain biking and track. So, if you’re looking for something to supplement road cycling then you’ll have some company from the club. Through our members’ only Facebook page (we also have a public page) you have the opportunity to seek out or organise something informal with fellow members to suit your particular needs, from an ad-hoc ride to a training session with specific goals. 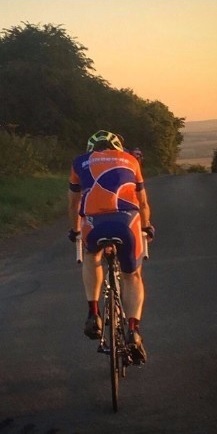 We are affiliated to the major bodies, both nationally and locally, supporting organisations that campaign for and promote events for cyclists, including British Cycling, CTC – The National Cycling Charity and Cycling Time Trials. We will promote our own events each year, which rely on dedicated organisers within the Club who in turn need the support of our own members to enable these to happen. Following the AGM we will start a new ride schedule for 2019. Please see the rides page for more information. It's that time of year when your SRC membership needs renewing. Fees are set again at £10 for first and second claim seniors and £15 for families. Click HERE for details of how to update your contact details and how to renew your membership. 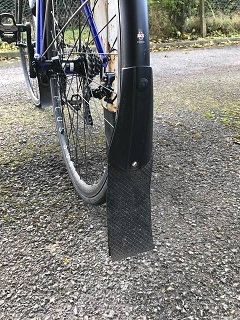 Mudguards and an appropriate flap are mandatory on all Club rides from the 1st of November to the 1st March inclusive. 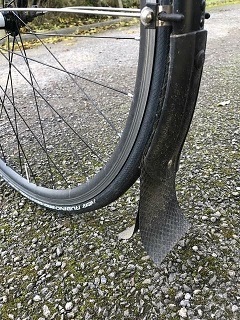 Mudguards should cover the entirety of the back wheel and include a mud flap (see photos). Any committee member will be happy to advise club members who are uncertain on the best mudguards.